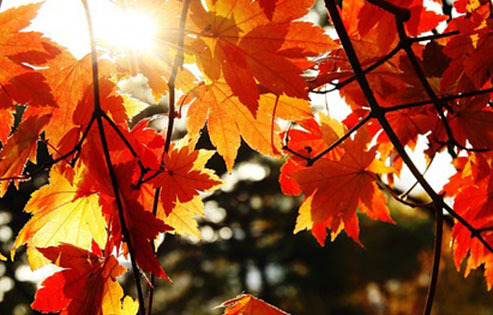 The cooler months of the year are the perfect time to work on your garden in anticipation of the long summer nights where you can be outside relaxing, enjoying the labours of your work; so join us as we take a look at some of the best options to satisfy your green fingers over the colder part of the year. Choosing the right hedging for your site is crucial. 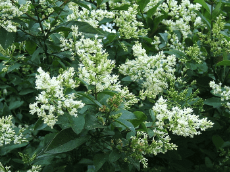 In a rural garden the best choice could well be a mix of native plants, typically hawthorn, blackthorn, dog rose, wild viburnum, spindle tree, or even crab apple (usually only available as a bare root plant), 400-700mm high, these plants are put in a staggered double row of 300mm between plants. Bare root which are the cheapest but can suffer a high loss rate especially in evergreens. Root ball which are typically yew and box. Container gardening which is the safest option but also more expensive. The bigger the plant, the slower it is to establish or even survive. Bare root beech hedging is notoriously difficult if put in over 60-80cm at planting. It’s not unusual for smaller hedging plants to establish quicker and catch up with their bigger companions over a period of a few years. Soil preparation is key, your hedge will be with you for a long time, so spending that extra time cleaning up the soil, putting in plenty of compost and ideally some basic sort of irrigation will be worth it. 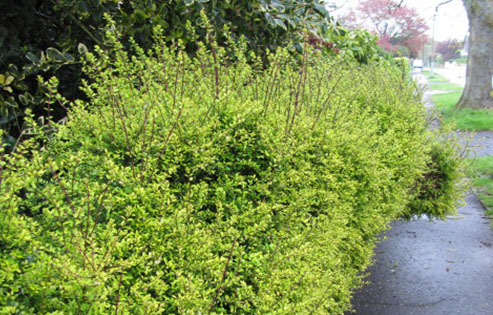 Lack of water and exposure to harsh winds are the biggest killers of new hedging. A simple run of porous pipe irrigation laid at root level when planting is relatively cheap and more effective than using a hose pipe. To protect evergreens from wind scorch you’ll need some concrete posts or wire fencing and shade netting to filter out the wind if your garden is at all exposed. It should only be for the first few years until the hedge is established. The recent advance of certain diseases means that some traditional hedging choices have to be questioned now. 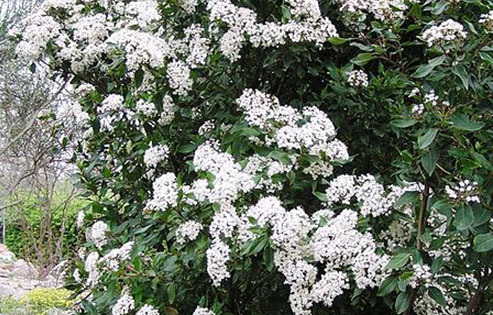 Plants such as box blight and viburnum beetle are an issue, and we might see a return of the old fashioned privet, especially if it was possible to use the more obscure perhaps larger leaved types that aren’t so common. 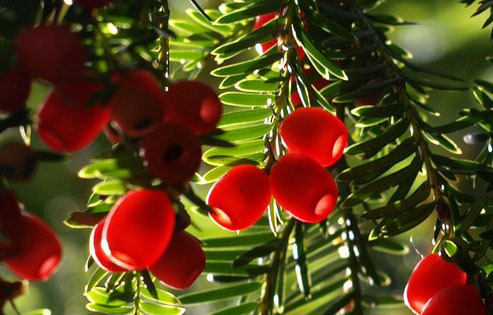 This type of plant will make a reasonable sized evergreen hedge in 4-5 years. It does need pruning twice a year to a shape with sloping sides, as it’s susceptible to snow damage. This will be tough against a fence. It’s widely used in the south west where it’s relatively capable of enduring difficult conditions. 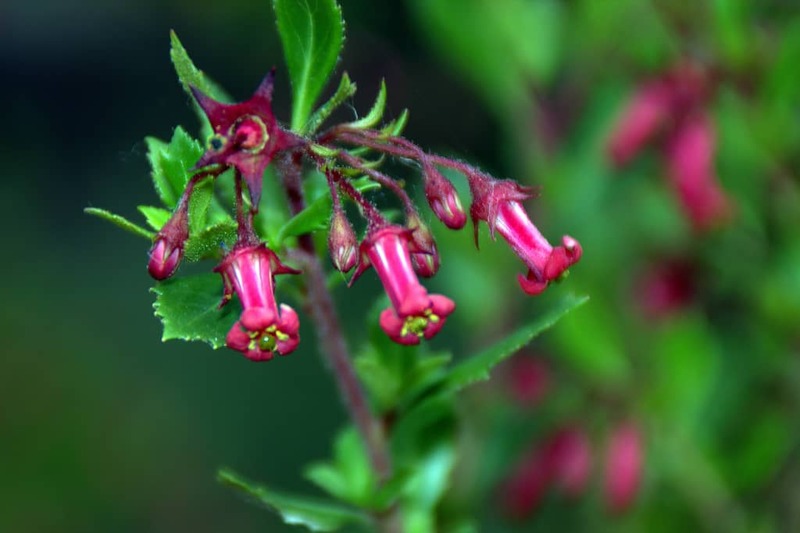 These are tough, slightly spiny leaved evergreen shrubs that make good compact hedges. Depending on how hard they are clipped, small orange flowers could possibly emerge. They’re extremely hardy and bombproof on most soils. These plants will need careful watering in the first year as will all evergreens. These are tough plants, when established. They are tolerant of lime and clay soils but do prefer reasonable drainage. Soil preparation is key here. These plants don’t like claggy clay, but with a mixture of sharp chippings and rough compost they cope well. Watering in the first year is very important. Protection from cold winds is essential in the first couple of years. They can be planted in the slightly cheaper root ball form, rather than containerised, but there will be a higher number of losses and the first year of providing care is crucial. They tend to be a lot less troublesome when pot grown but there can be a big variation in what you get for your money. So far they are known to be relatively free from pests and diseases. These are small leaved evergreen plants, easy to grow and will take close clipping. They have been known to be affected by a really bad winter and get flattened by heavy snow. This is the good old privet hedge. No doubt a fashion revival, as other plants from the 70s seem to be ‘in’ at the moment. 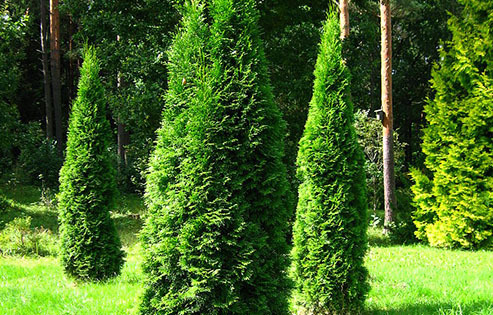 Thuja plicata ‘atrovirens’ – Conifer hedge. These are nicer and better smelling than leylandii, they don’t grow as quickly but are not far behind. They tend to grow larger than 8ft but can just about be wrestled into shape with diligence. They are fairly bombproof when established, and the usual care is needed to establish. 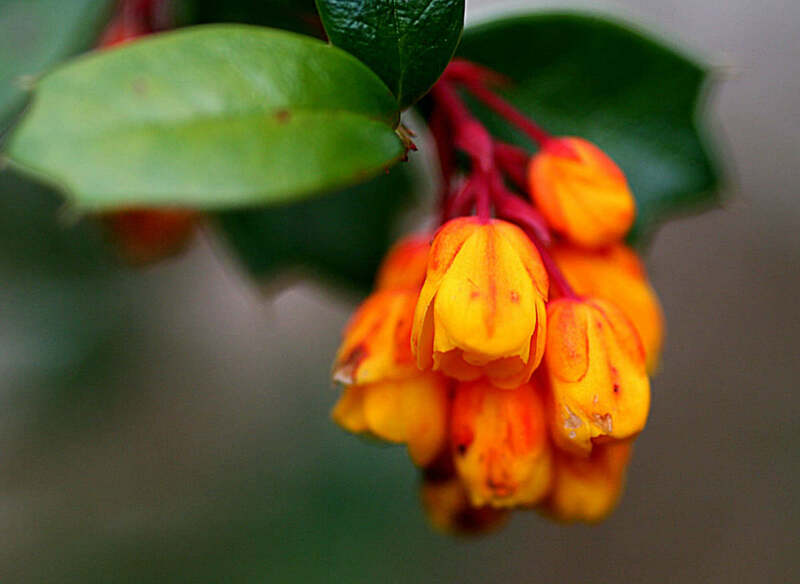 A loose evergreen shrub. These are fairly tough but viburnum beetle has now become a problem. They are not a formal hedge as they can’t be close clipped. This plant can be a bit of a ‘dead’ green as a background and unlikely to flower when pruned hard. These are spiny tough flowering shrubs. 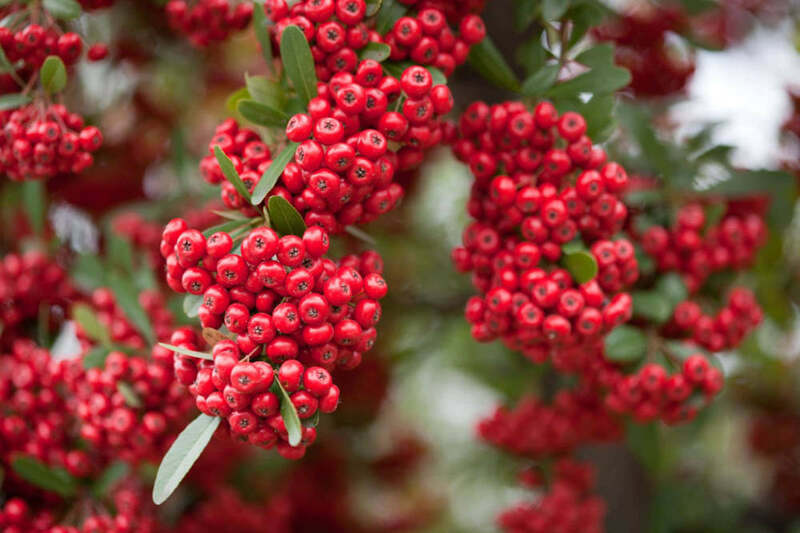 These plants can have berries, are very tolerant but untidy and do need a lot of careful pruning to keep them in shape. They can be subject to fireblight disease. Although not evergreen, these plants do retain their old dead leaves through the winter until new growth emerges in spring. Chalky soils or lime-rich soils make good solid hedges. The roots live symbiotically with a fungus that can be put in at planting to help establishment. Old school gardeners used to dig out soil under old beech trees to sprinkle into the new hedges planting trench. These days the right fungi can be obtained less destructively from a garden centre. Bonemeal in the hole at planting time will help, and making sure all roots are soaked before going into the ground is essential for all hedging, alongside basic spring feeding. Lastly never plant into ground that has frost and ice in it, otherwise the roots of the hedge will stay frozen as the ground is a great insulator. For landscaping requirements or for further information contact us here at Eden Landscapes today. This entry was posted in Advice, Landscape Gardening. Bookmark the permalink.